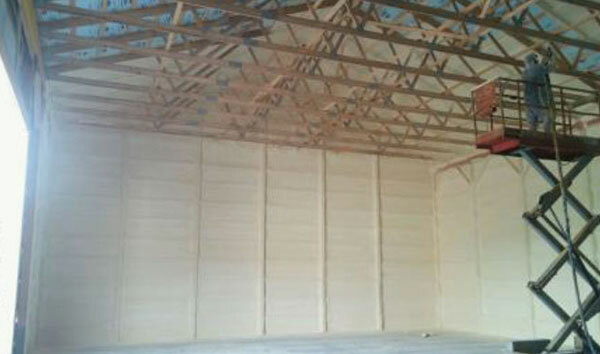 HA Maier Farms | Oak Ridge Foam & Coating Systems Inc. Foam thickness applied to walls and underside of the metal roof: 1.5 to 2 inches. 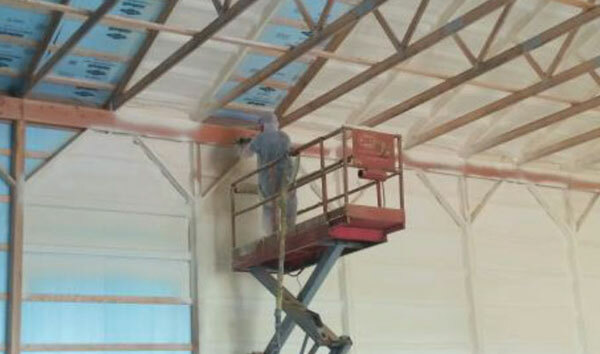 When completed, this application will be a totally adhered, monolithic and seamless insulation wrap conforming to the wall and underside roof structure. 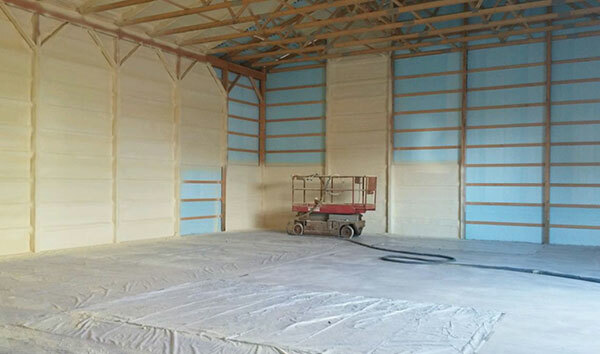 Care was taken by installing a film of polyethylene over the newly installed concrete floor. 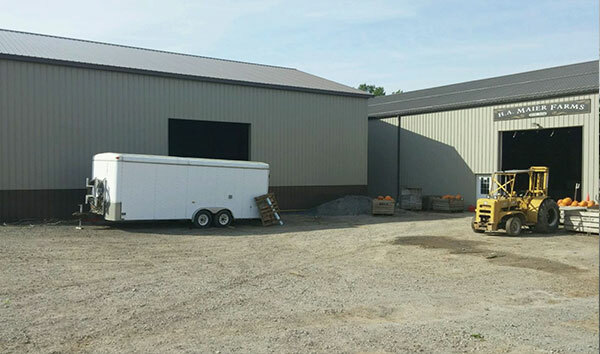 When installing close to the overhead door entrance, polyethylene was draped over the opening, so as not to have overspray carried outside to the exterior of the metal building.